I've been a long time lurker, but this is my first post. Finally got my Speedy from a local AD for a nice discount. I bought it with the bracelet, but immediately ordered the OEM racing strap with deployment. montrealer, Zarath, CCJ and 4 others like this. garydusa, Fullers1845 and mitadoc like this. "I'm just here to regulate the funkiness"
garydusa, Zarath, Fullers1845 and 2 others like this. clover4studio, garydusa, Fullers1845 and 4 others like this. that looks fantastic Dimer, may I ask where you got the strap from? Thanks :) Its a fabric IWC strap, from the Top Gun. 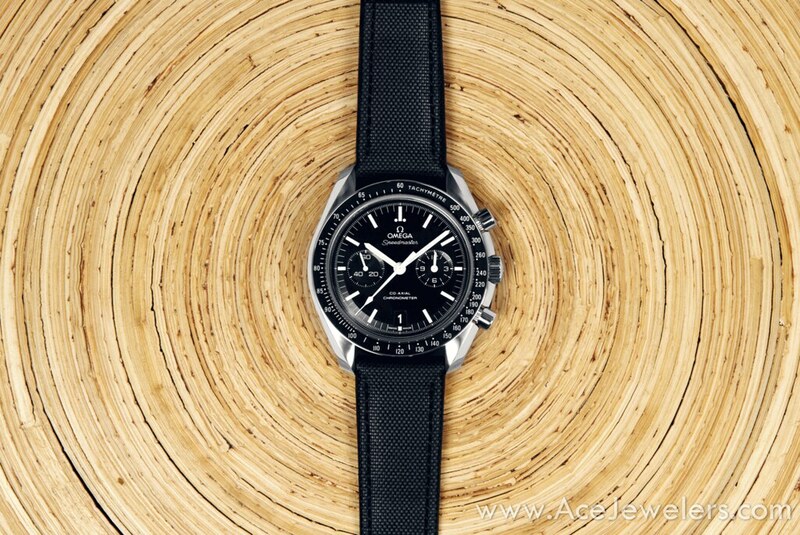 To be forever enshrined in the Official Speedmaster thread.....1968 Transitional (861 mvt) Speedmaster on a JB Champion Bracelet. Last edited by flyinghell34; March 3rd, 2013 at 18:57.
garydusa and gippo like this. flyinghell34, garydusa, montrealer and 2 others like this. Very nice! So you pulled the trigger. Great choice. Did you buy it from an AD? Gray market?